Three little honeycomb silhouettes make up this pretty stud earring and are exclusive to JBJ. 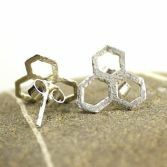 These understated studs have a fine textured finish which catches the light beautifully and looks stunning on. 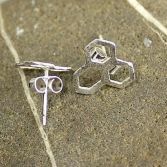 They are available in a bright silver or an oxidised blue black finish. 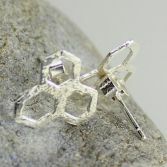 Both the earrings and backs are made of solid sterling silver. 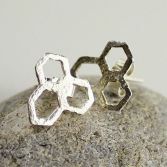 Your Honey Studs will be presented to you in one of our signature gift boxes and posted via Royal Mail 1st Class (signed for) to any UK address free of charge.